Along with 25 plus years of dedication to the best practices in dentistry, Dr. Randall Palmore has advanced training in esthetic, smile-design dentistry. He is also often able to remedy the origin of many years of neck, head, and oral pain with his advanced training in Neuromuscular Dentistry. His mission is about changing lives AND smiles! Dentists in Alabama are required to take courses to maintain their license. This hourly requirement is just the beginning for Dr. Palmore. Besides his uniquely comprehensive training in Neuromuscular Dentistry, esthetic smile makeovers, and laser treatments, he has special training in advanced (more comfortable) root canal therapy. Dr. Palmore is continually upgrading his technology, expanding his knowledge and always researching how to best diagnose and treat his patients. His Fellowship in the Academy of General Dentistry (FAGD) is something accomplished by only a small percentage of dentists in the country. This is in recognition of his leadership in general dentistry and requires a minimum of 500 hours of continuing education and the passing of an extensive written exam. Dr. Palmore has continued his pursuit of excellence by also completing the AGD Mastership program at the University of Alabama School of Dentistry. His most profound educational experience was at the Las Vegas Institute for Advanced Dental Studies (LVI). This is where he immersed himself in the most modern dental therapies his patients have come to enjoy in many ways. He is continuing coursework at LVI in order to stay current with advancing technology in dentistry. Dr. Palmore is interested in the areas of the cranio-mandibular, neuromuscular, and cervical complex that affects the temporomandibular joint (jaw joints) of the head and neck. His priorities include appearance concerns that involve esthetic, orthopedic, and orthodontics plus head, neck and facial pain problems. Since 2000, he has spent countless hours traveling and attending courses from leading clinicians in cranio-mandibular orthopedics, head/neck and cervical pain and neuromuscular dentistry. He interacts daily with leading experts specializing in management and treatment of temporomandibular joint dysfunction, airway obstruction and development. Additionally, he collaborates on issues like the relationship of pain symptoms to the development of TMD and the effects on the cervical neck region. 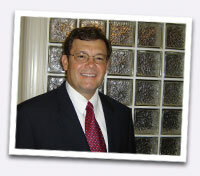 Find out more about LVI training and advanced esthetic/cosmetic dentistry at LVIdentist.com. If you are experiencing oral pain or other head and neck pain, discover more on Neuromuscular Dentistry at LeadingDentists.com. Accreditation in the Academy of Cosmetic Dentistry. PBRN - Practice Based Research Network in association with UA Birmingham.